Gratitude - Fit, Healthy and Fabulous! 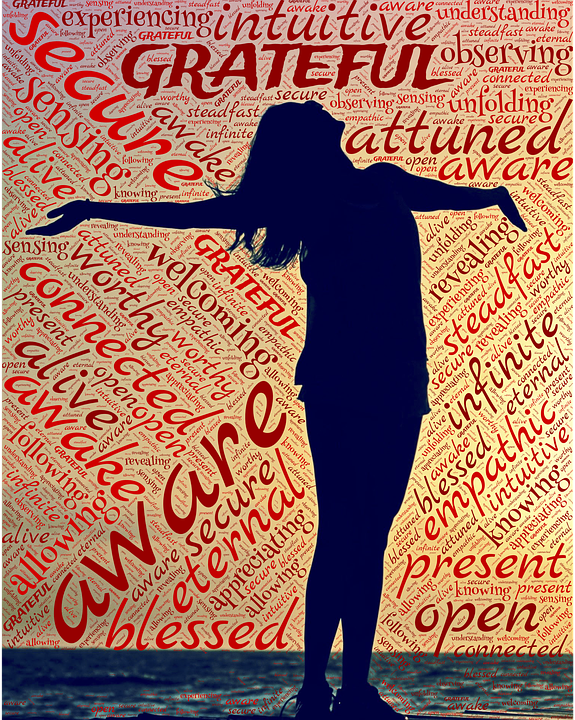 Everywhere you go, you hear it these days…Be Grateful! Yet we hear so many people complaining! I often think about something as simple as having food on our table, a roof over our heads and a warm bed to sleep in as a gift in itself. After spending extended time in Mexico volunteering in dog rescue, meeting so many local residents with their dogs and families, I realized how much I have in my life. Seeing so many living without basic necessities, enduring daily abuse, literally working 12+ hours just to make enough to buy a few items was a lesson learned well by me. It made me a better person and one who will always live with gratitude and give back to those in need. Once a week I have a ritual that I do it’s called from the heart to pen to paper. I sit and write everything that I am grateful for down on paper, think about what I wrote and put it in a glass jar that I made with pretty little accents and photos of things that I am grateful for. It makes me stop and think about what was positive in the day instead of what may have gone wrong or was negative on that day, it honestly makes the not so happy stuff seem so less dramatic and stressful. We ALL live with some level of stress and negative encounters in a day, it is a matter of how you want to respond to those things that can potentially take your energy levels down, ruin your day and make you feel negative and complain for the rest of day, which in my opinion always feels like the more you complain and hear the complaint the more life you give it and the worse it feels! So what kind of day do you want to have today? Start the day with gratitude and positive energy! Try my little ritual of from the heart to pen to paper and even involve your entire family in it, it turns out it can be so much fun for the kids and brings spouses closer together too! This entry was posted in Fitness, Health and Wellness, Holistic Wellness, Lifestyle and Leisure, Manifestation, Meditation, Reiki, Reiki Healing, Reiki NJ, Sleep and tagged Adult Fitness Bergen County NJ, Adult Fitness in Ridgewood NJ, Fit Tips, Health and Fitness, Health Coach, Health Tips, Healthy Habits.